I have taught my children from a very young age that it is important to send a hand-written “thank you” note to express their gratitude. In my opinion, there is nothing quite as nice as giving and receiving a personalized note to show appreciation for a nice gift or thoughtful gesture. Expressionery.com is a wonderful online resource for all of your personalized stationery needs with a wide selection of cards, stationery, gifts and accessories. From special occasions, weddings, baby, thank you notes and personalized stationery there is sure to be the perfect products to fit your needs. I was so impressed when I browsed the collection of “thank you” cards and my only difficulty was narrowing down my selections because there are so many great options to choose from at Expressionery.com. All of the Thank You Notes are lovely and I appreciate that I was able to choose a design that wasn’t too “cutesy” which appealed to my children. My eight year old son loves giraffes so I knew he would be much more eager to start writing his “thank you” notes with the Vintage Giraffe Folded Notes ($25 for a set of 25). I was able to give it an extra special touch with personalization, “The Ruble Kids” and the high quality paper and lovely giraffe design makes this one special “thank you” note. 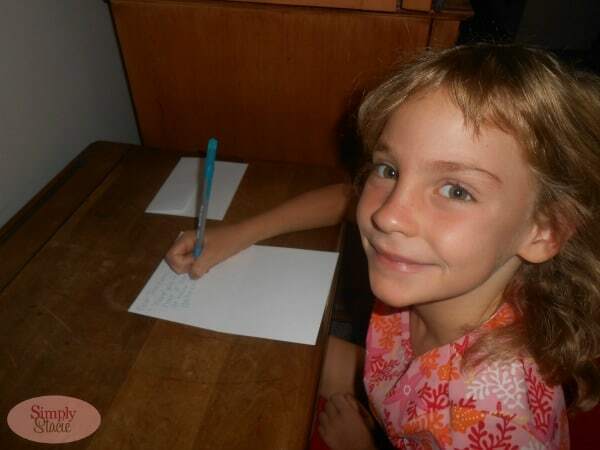 My children recently attended a vacation bible camp and wrote a handwritten message on these note cards for the pastor and volunteers who ran the program. They beamed with pride when handing the card to the bible school team who were delighted to have been acknowledged and thanked by my children. I love the fashionable, pretty blue colors and image of the Hello Tokyo Note Cards that I personalized with “The Rubles”. The flat paper card is a very nice quality and has plenty of room for writing. These are a great value for the quality starting at $25 for 25 cards and you can save even more by purchasing higher quantities. 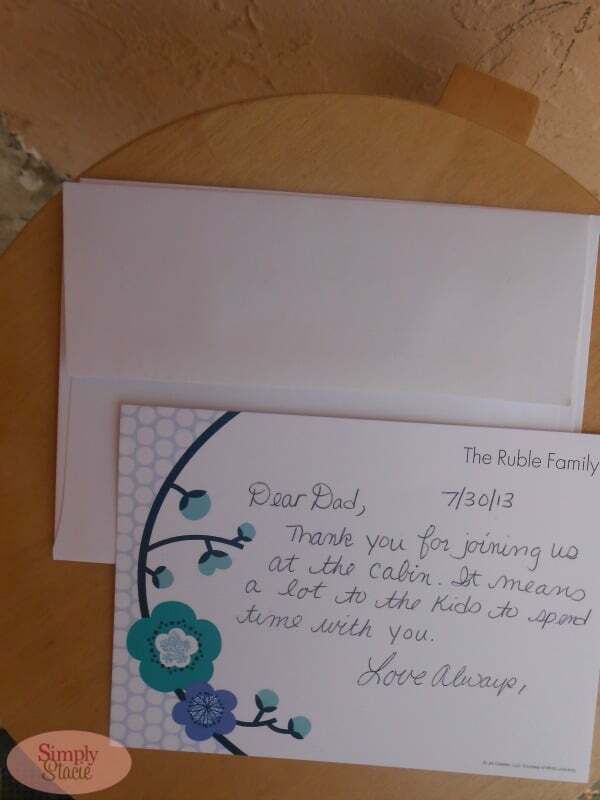 Have you ever been out and about and wished that you had a “thank you” card on hand for a special situation? This has happened to me many times and Expressionery.com has the perfect solution. The Vanilla Floral Instant Gratitude Notes ($6 set of 10) may be small in size (perfect for keeping in your bag) but really makes a powerful statement. 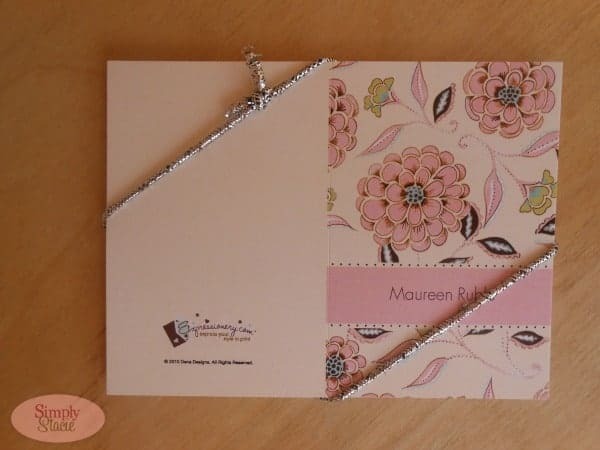 The design is beautiful and there is just enough room to add a personalized touch when handing someone special a nice note. You are invited to visit Expressionery.com to browse the entire collection of flat cards, folded notes and instant gratitude cards in the thank you note category. There are also so many other wonderful cards, stationery and more available too so take a moment and be sure to check it out. I love the Lotus Orange Folded Notes! I love the embossed products! I like the Kaleidoscope Folded Notes. Me & My Peeps Large Memo Pads. The west palm is so awesome! I think all of the designs are so unique!